Two people have been arrested in connection with the “criminal use of drones” at London’s Gatwick Airport, police have said, after three days of disruption affected tens of thousands of passengers during the pre-Christmas getaway. “As part of our ongoing investigations into the criminal use of drones which has severely disrupted flights in and out of Gatwick Airport, Sussex Police made two arrests just after 10:00pm (22:00 GMT) on December 21,” the force’s superintendent, James Collis, said. Police and military experts had been deployed to search for the drone operators which appeared near the airport every time it was expected to reopen. One piece of equipment reportedly used to catch the culprits was the Israeli-developed Drone Dome system – which can detect drones using radar and jam communications between a drone and its operator. Sussex Police did not disclose the ages or genders of those arrested, instead saying that officers used a “range of tactics” to hunt for the drone operators and “build resilience to detect and mitigate further incursions” from the device. The drama dominated the UK’s newspapers on Friday, with speculation that an eco-activist was responsible. The dangers posed by drones include the possibility of a device smashing into a passenger plane or being sucked into a plane engine where its highly flammable lithium battery could cause a catastrophe. The opposition Labour Party criticised the government for being too slow to combat the threat from drones, and should have brought forward tighter legislation on drones before the incident. “It’s been an abject failure and I blame Chris Grayling,” Labour MP Karl Turner told BBC Newsnight. Gatwick, about 50km south of central London, is the eighth-busiest airport in Europe and sits behind Mumbai as the world’s busiest single-runway air hub. 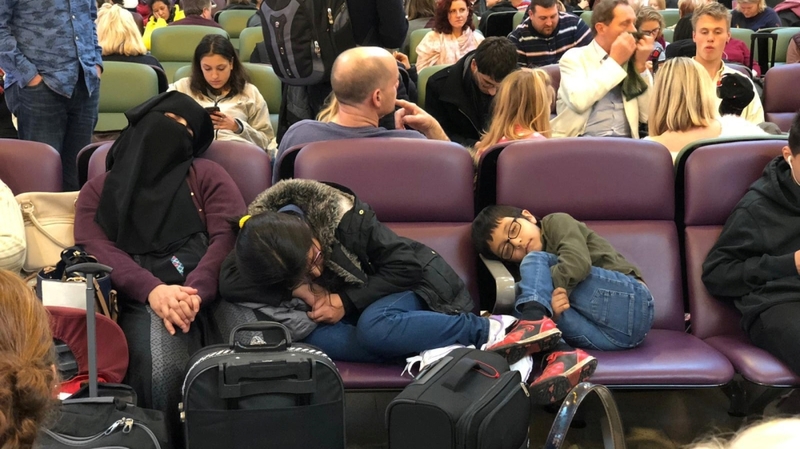 Police have urged passengers and the public to remain vigilant around the airport, south of London, and report any further sightings.